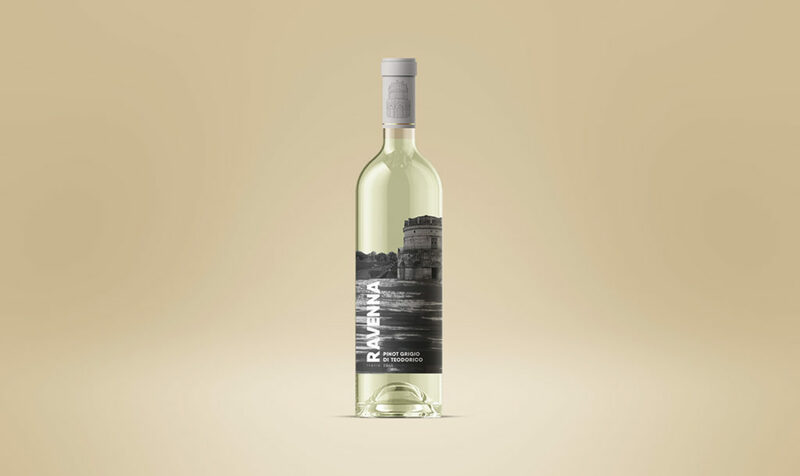 Ravenna is a wine that takes its namesake from the Italian region in which it was founded. This wine brand is famous for its Tempranillo-based wines such as Pinot Grigio, Merlot, and Chardonnay. Ravenna wines are produced in a manner that remains hardly changed for centuries; grapes are brought to the merchant’s cellar (bodega) by one of any 20,000+ growers in the region (or through a growers’ cooperative). 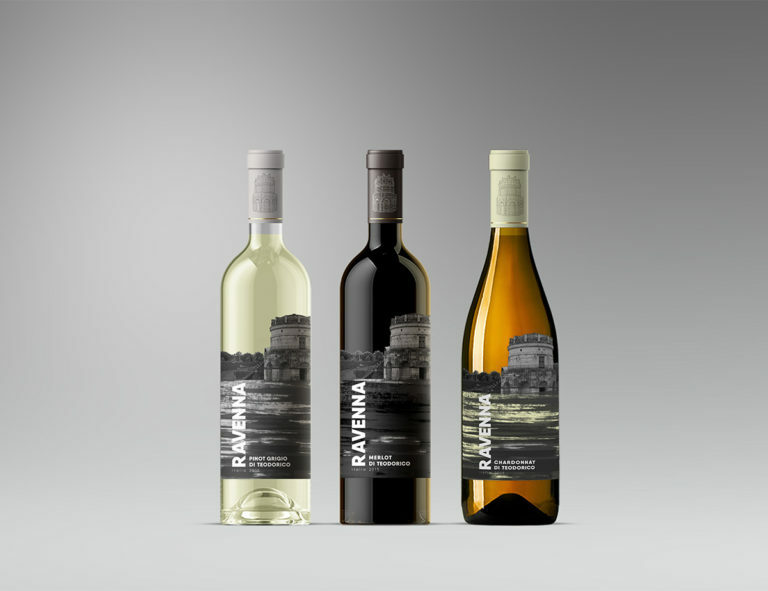 From there, the wine is bottled and labeled to identify the particular bodega/wine cellar. For this project, I worked closely with Ravenna’s representatives in order to fully understand the business, its products, and its audience. 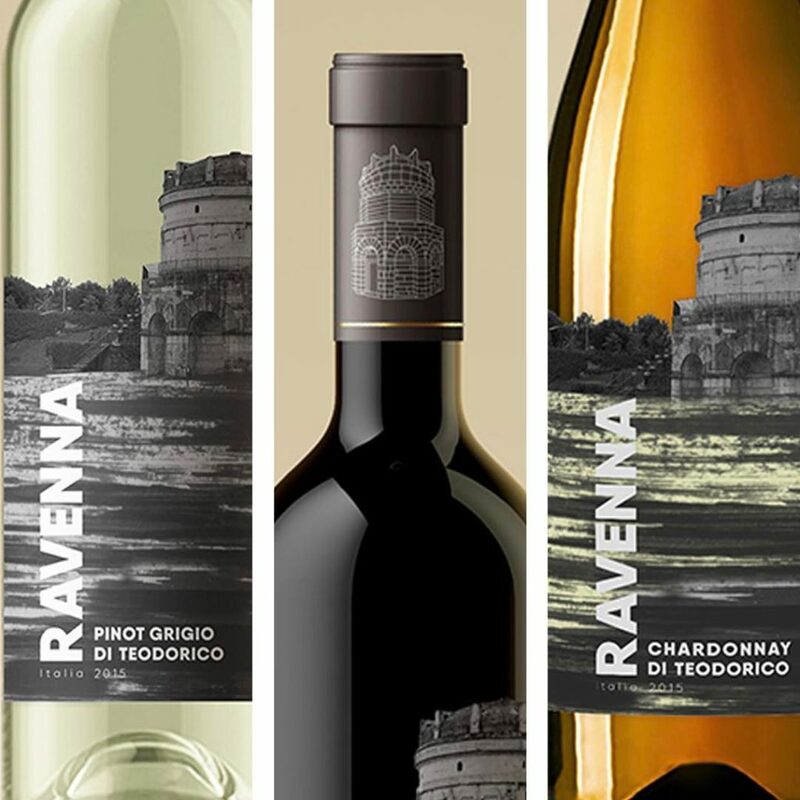 The Ravenna brand sought a label design that would be minimalistic, iconic, representative of the region’s history of winemaking, and one that could be adapted to the many types of wines the company produces. To that end, the Mausoleum of Theodoric (Mausoleo di Teodorico), located a kilometer outside the city center, was chosen as the central design theme on the labels. The mausoleum was constructed in 520 A.D. and was later used for Christian religious ceremonies, where no doubt wine from the region was used in its sacraments. The printing techniques used to create the die-cut labels include Neenah Oxford Pro-fit textured paper and foil. Using a die-cut design also has the advantage of allowing the wine color to permeate the perceived landscape — literally and symbolically.